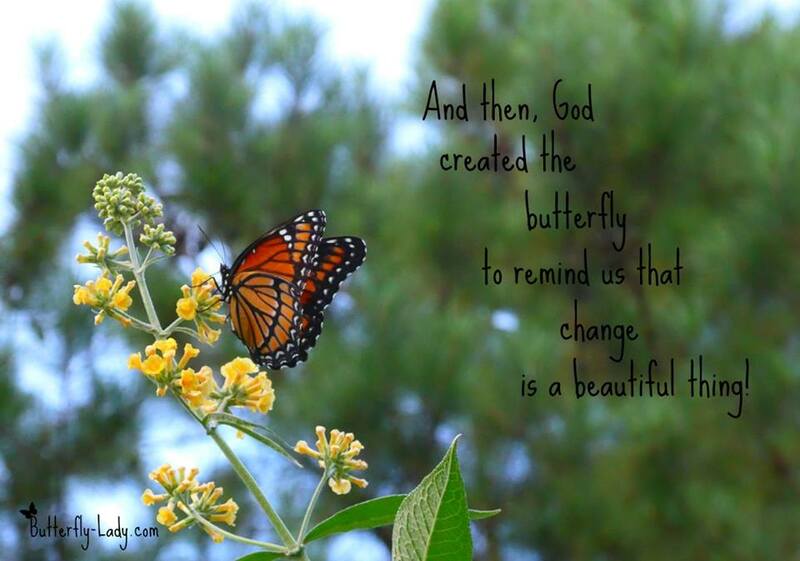 “And then, God created the butterfly to remind us that change is a beautiful thing!” • Viceroy (Limenitis archippus) butterfly. 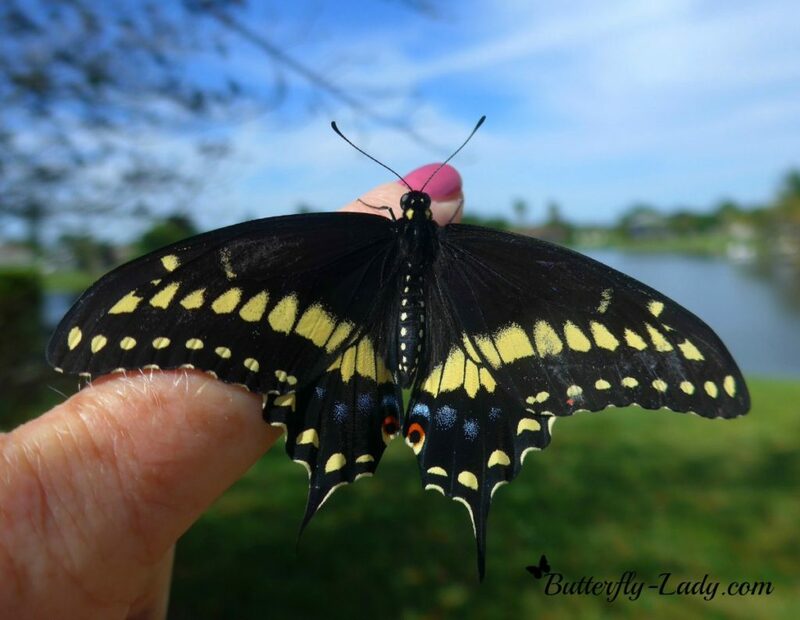 Be inspired today by the beauty of an Eastern Black Swallowtail (Papilio polyxenes) that I reared and released. 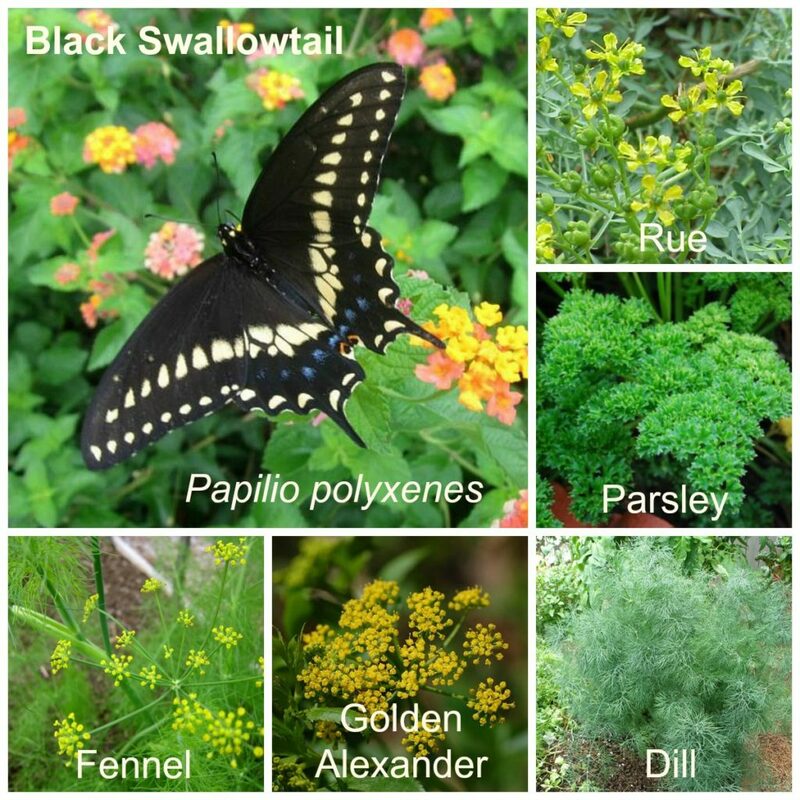 Adding a fruit feeder to your butterfly garden can help attract butterflies. 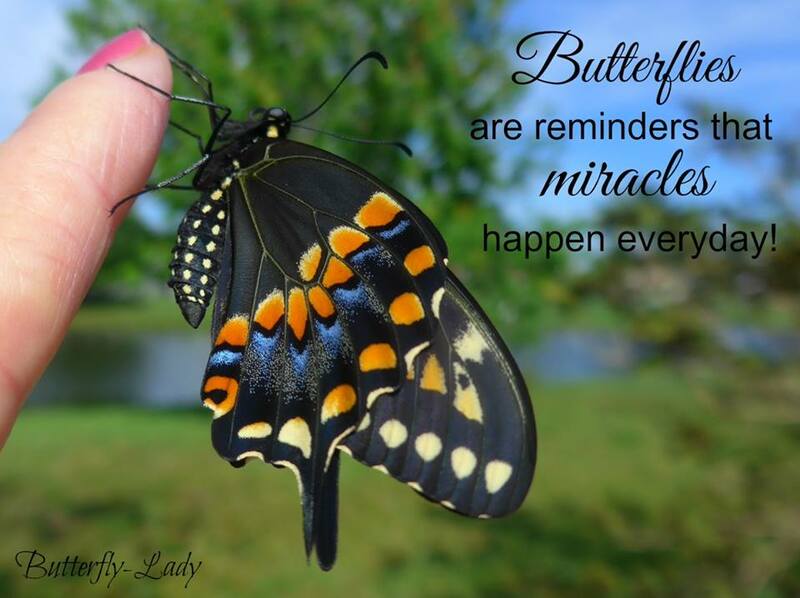 Many butterflies do not live on flower nectar alone. Some species prefer, even require, overripe fruit to feed on. 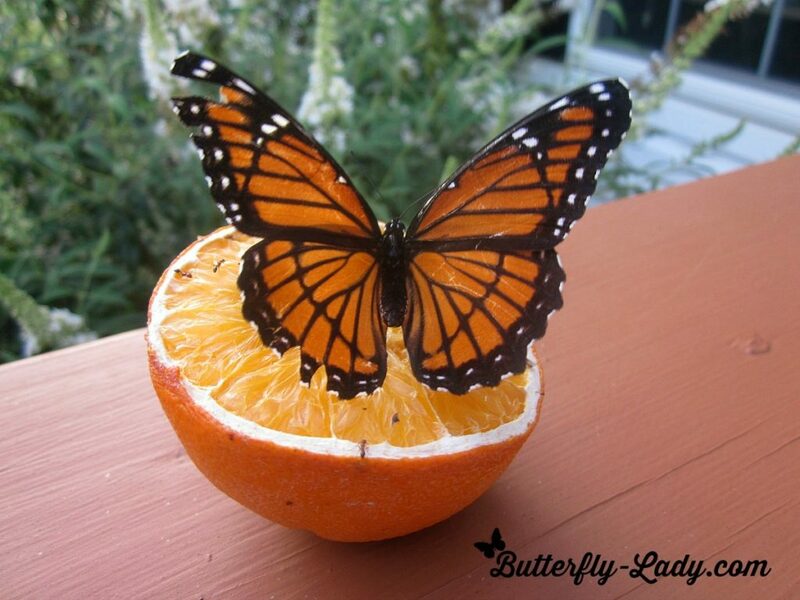 Butterflies are particularly fond of sliced, rotting oranges, grapefruit, strawberries, peaches, nectarines, apples and bananas. 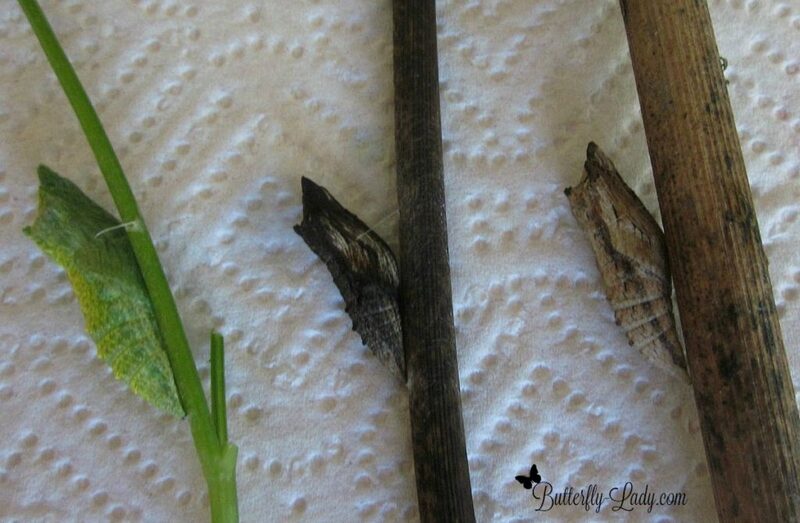 A couple of Painted Lady (Vanessa cardui) butterflies enjoy sips of sweet fruit juice on a summer afternoon. 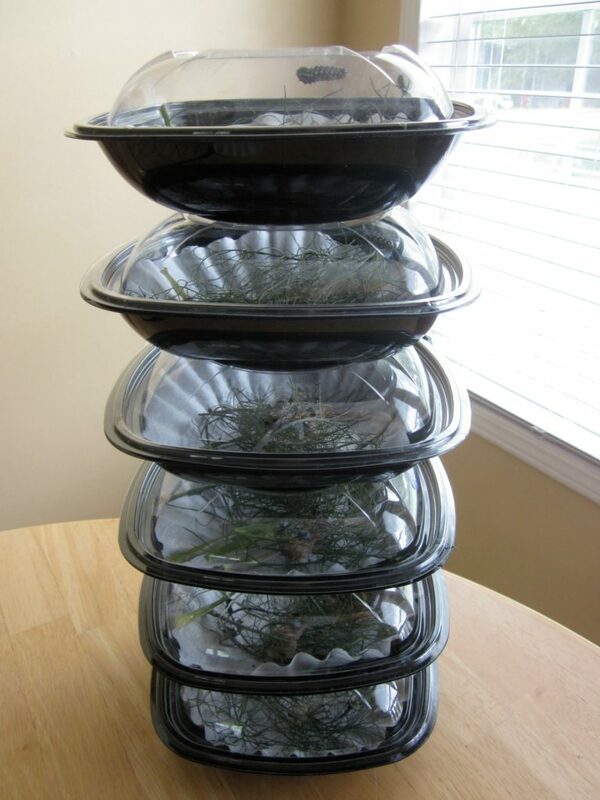 • Click here or on photo to view a variety of suet baskets. 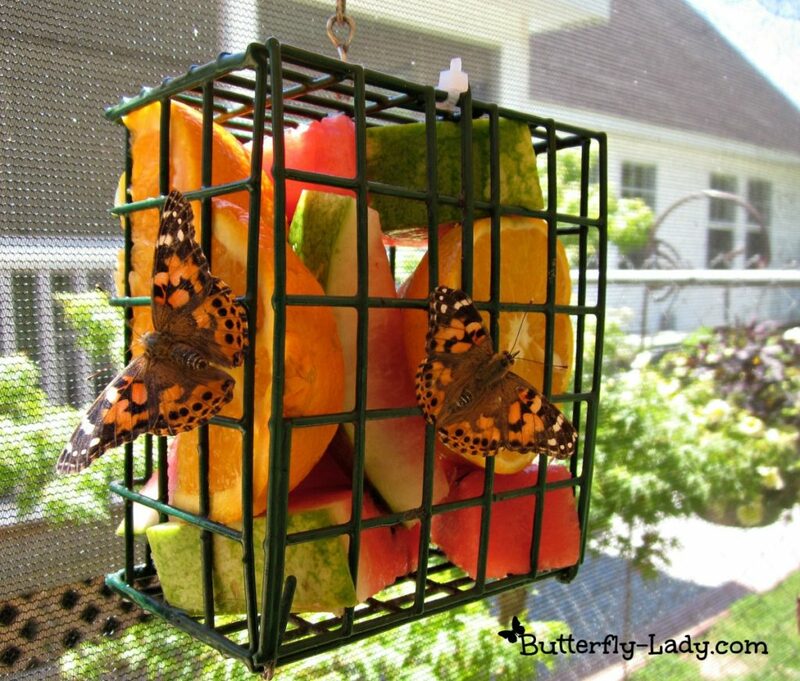 By placing sliced oranges and watermelon inside a suet bird feeder you can make this simple butterfly feeder. 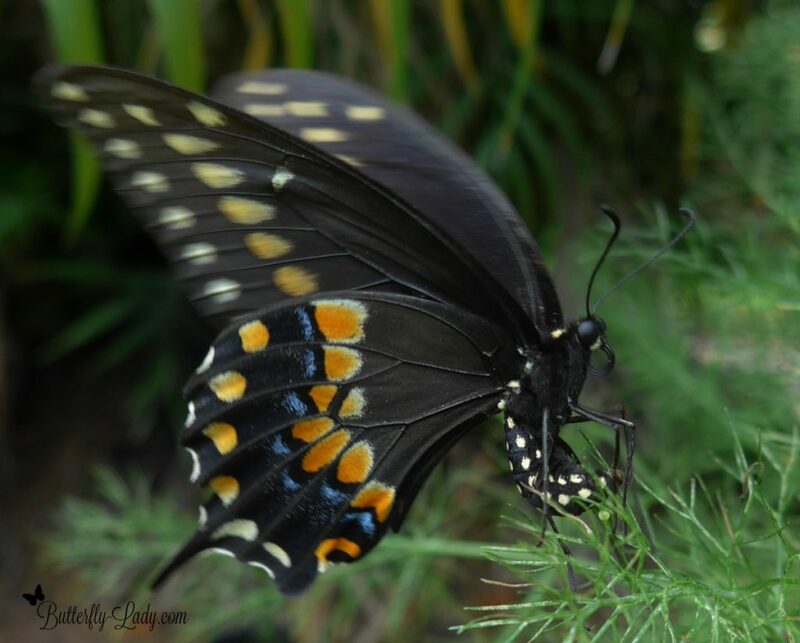 A Red-spotted Purple (Limenitis arthemis) butterfly sipping juice from a cantaloupe. 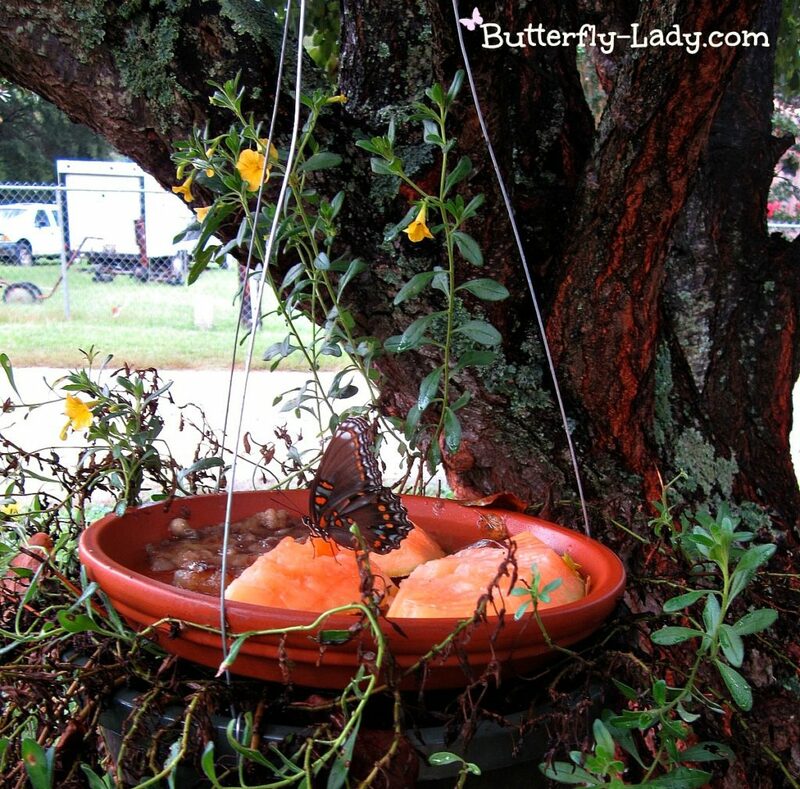 This easily-assembled butterfly feeder is a clay saucer with sliced cantaloupe that was positioned on top of a hanging plant basket. 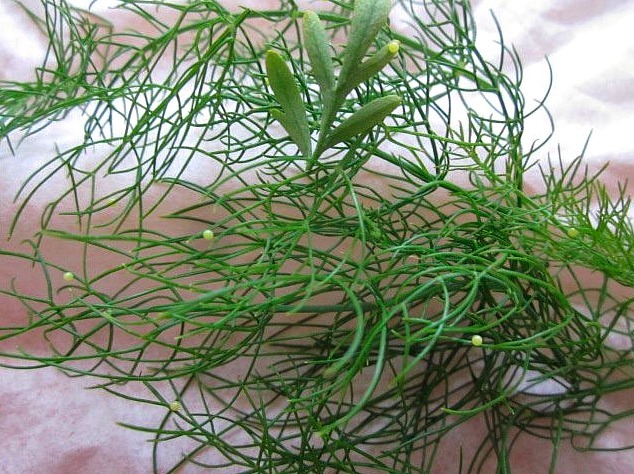 It was hung in a Plum Tree (Prunus spp. 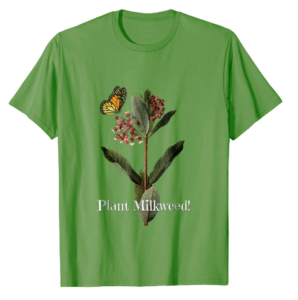 ), which happens to be a host plant for the Red-spotted Purple (Limenitis arthemis) seen feeding here. 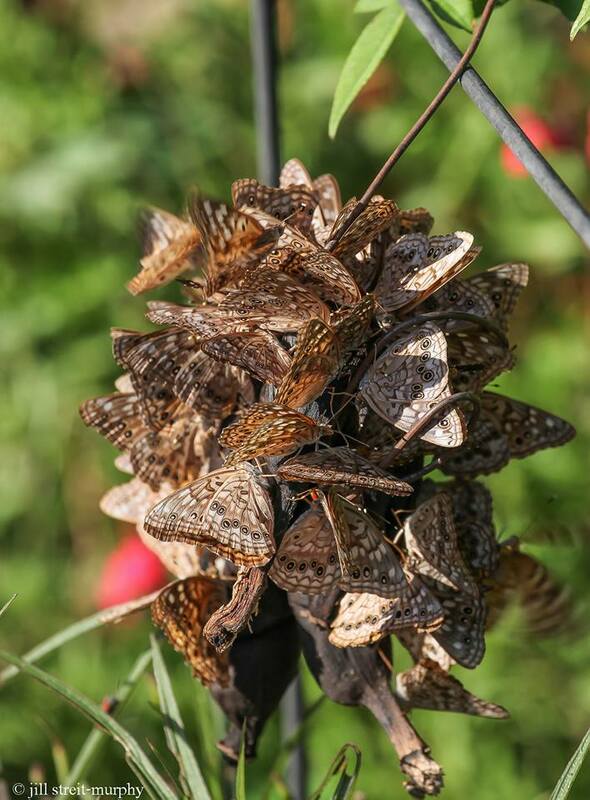 A mass of Hackberry Emperor (Asterocampa celtis) butterflies marauding a rotting banana still in its peel. • Copyright by Jill Streit-Murphy. Used with permission. My friend, Jill Streit-Murphy, hangs out a rotten banana in her garden. 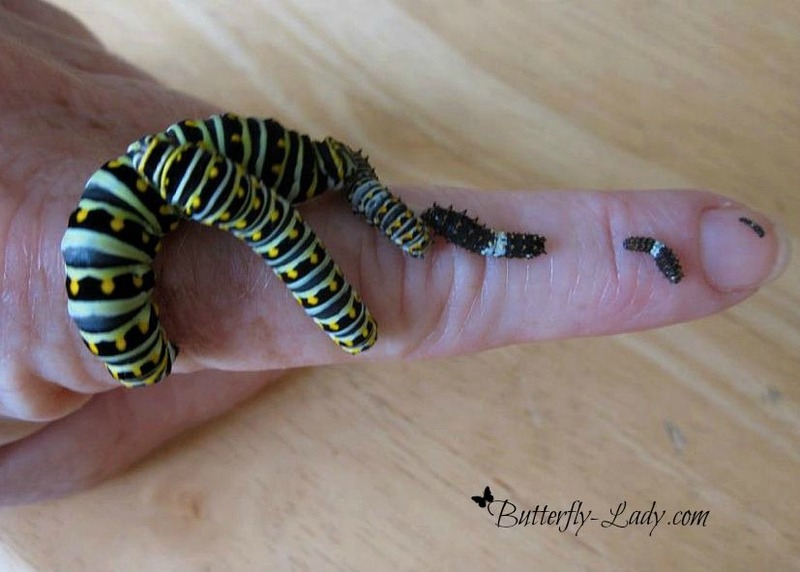 There are so many butterflies you can’t even see the fruit! Half an orange on a deck railing attracted this Viceroy (Limenitis archippus) butterfly. 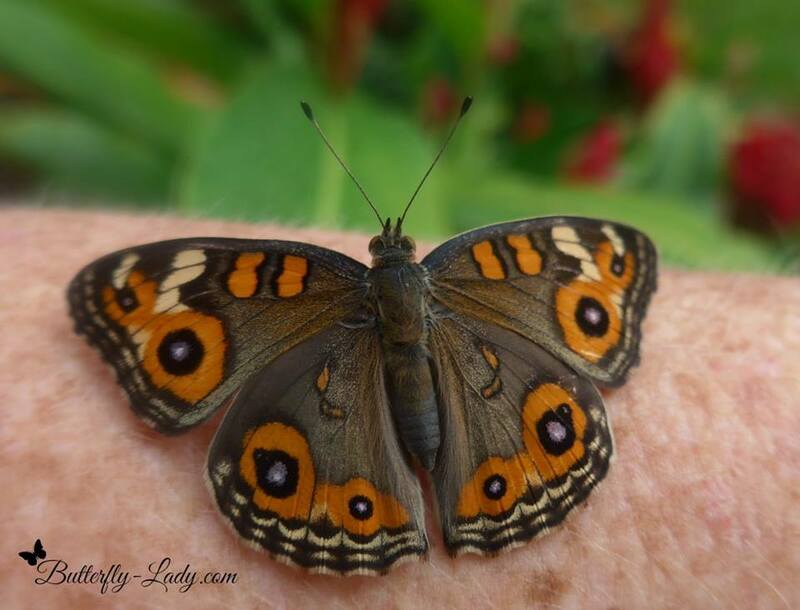 While in Costa Rica last summer, I set out some fruit in a bird bath and attracted amazingly beautiful butterflies. 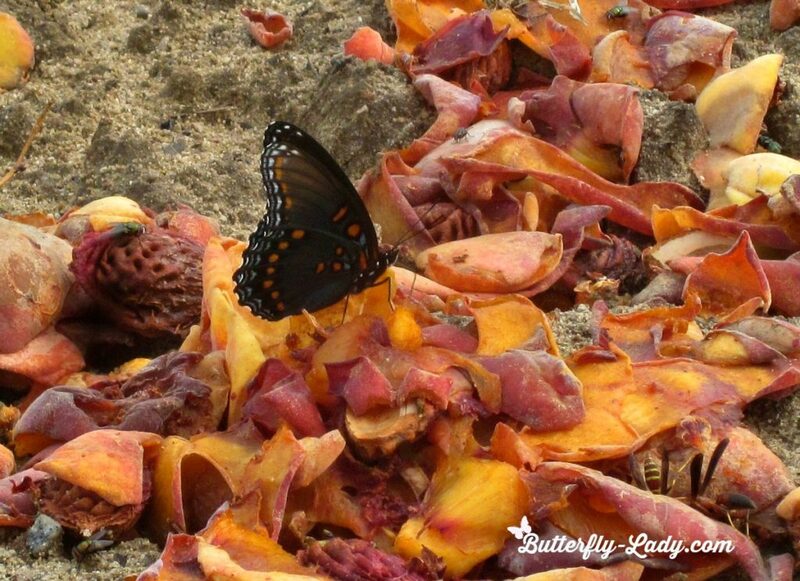 A Red-spotted Purple butterfly shares discarded peaches with some wasps. 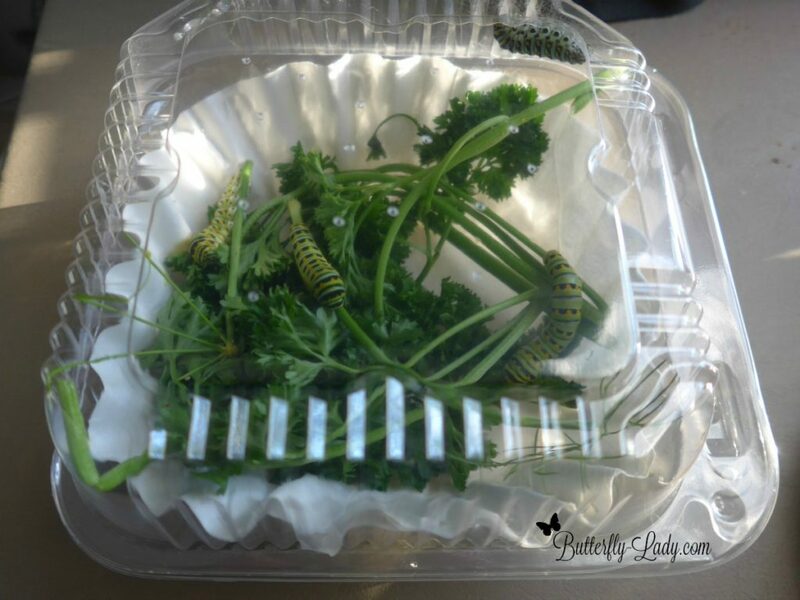 An ant guard is essential equipment when using a butterfly feeder. 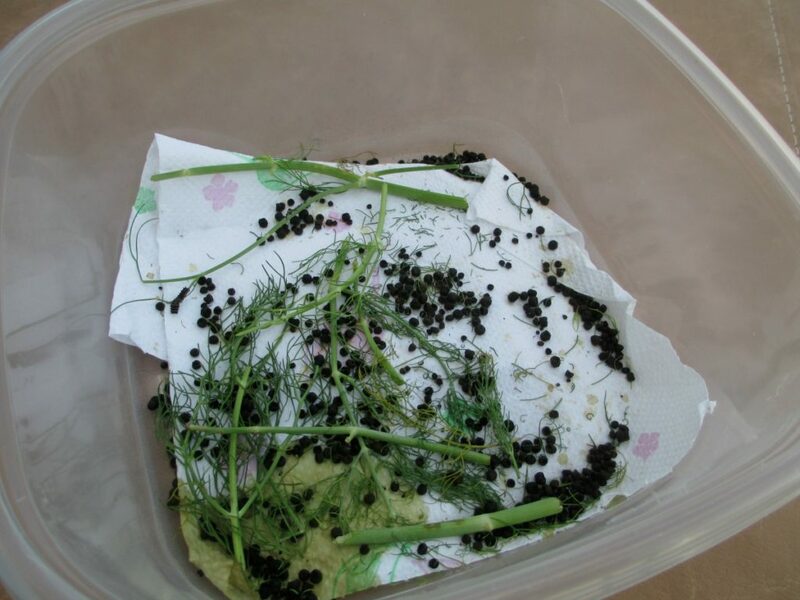 Click here or on photo to view a variety of ant guards. 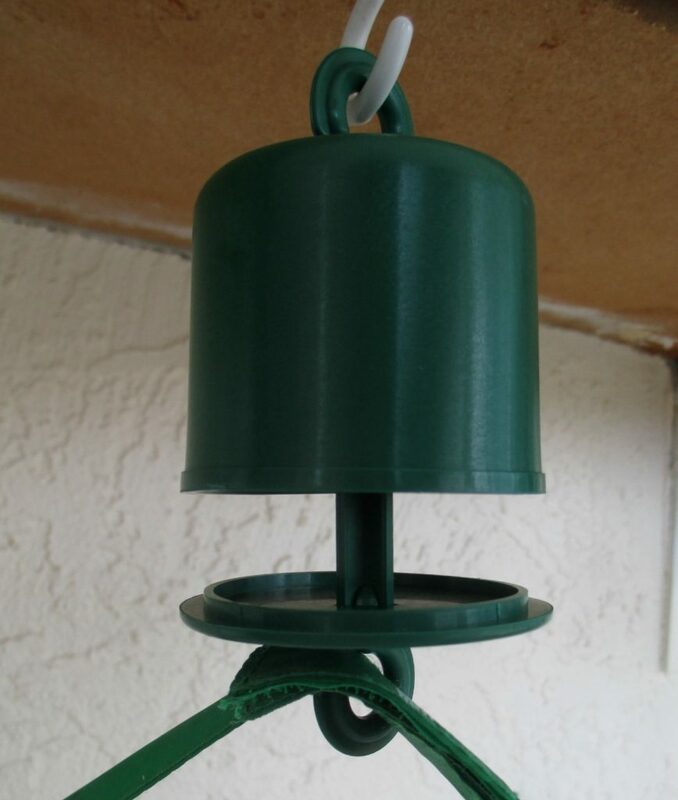 Keep ants at bay by hanging your butterfly feeder with an ant guard. 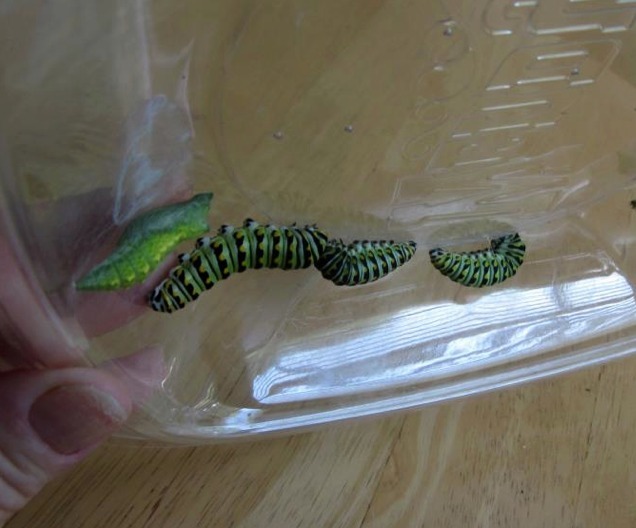 Whether you use the kind shown here with a small bit of pesticide tucked inside where it doesn’t come in contact with the butterflies or the type that you keep filled with water and a few drops of cooking oil, ant guards are essential equipment when using butterfly feeders.